I’ve worked on Holby City in various roles over the last few years. In 2017, I became executive producer of Holby City and Casualty, and this gave me the chance to do something I’d wanted to do for years… a major crossover. Making the crossover happen has been a long process. There has been clear audience appetite for it for ages. We (as in the Holby City senior team) originally pitched the idea to the channel in early 2017. We then gave a more detailed pitch of how the crossover would work in spring 2018 and filmed in the autumn. And rather marvellously, it falls in Holby City’s twentieth anniversary series as part of our ongoing year of celebrations. What’s it like planning a crossover? It was a huge challenge, with regard to many factors - finding the right story, scheduling, finding appropriate big serial points in both shows at which to intersect, the sheer logistics of it all. Casualty actually storylines in advance of Holby for various reasons, so while Casualty knew very specifically were we would be serially at that point, Holby didn’t, which was a headache! Managing the schedules is one of the more difficult parts of this kind of project. One reason for that is, although the two shows are set in the same hospital, they’re filmed in two locations. Casualty is filmed in Cardiff and Holby is filmed in Elstree. Special/standalone episodes, which we do in the normal course of things, are a challenge anyway, as they sit on top of the regular filming schedule, and literally compete with adjacent episodes for artist availability - make it two episodes with huge crossover elements and the entire casts of both shows shifting between England and Wales and burning up the M4, well, let’s just say both teams achieved miracles. Especially when you consider that Iain’s suicide attempt episode, which preceded the crossover, and is huge in itself, had filming overlap. We also needed the right catastrophic event scenario, research-wise, that would bring the hospital together and give us the technology outage and blackout that Michelle Lipton’s story required. Original drafts had a truck - then a bus - then a truck again - ploughing into an electricity substation causing the power outage, but then we found out that it didn’t add up, and it turned into a cyberattack after an emergency session in the boardroom in Cardiff on the phone to Holby! I must say Michelle coped brilliantly with this curveball which meant she had to replan the whole thing. And Jamie, the researcher on Casualty (an unsung heroic role on these shows) was an absolute star in that scenario. The main drive of the action in the crossover comes from the cyber-attack, the characters’ reaction to it and how it affects the meds. But the real exhilaration is in seeing the character interactions between the two shows. It’s always delicious to see Connie and Jac together, it’s scalpels at dawn when those two meet, with their shared history and rivalry from when Connie, now a Casualty character, was in Holby. She used to be Jac’s boss - now they are competing alphas and Jac doesn’t let her forget it! With the other characters, we assume they all know each other by sight and acquaintance, even if we have never seen that, and greet and interact with each accordingly. Which is somehow entirely organic and yet jolting and exciting when you see it on screen! People have huge affection for Casualty and Holby. Not only are they set in the NHS, something that we, as a nation, are proud and fiercely protective of, but with medical drama, the stakes are by nature the highest. It’s literally life and death, your heart in their hands. That means that the drama’s already there, it doesn’t need to be forced. People can also experience long-term character driven arcs in real-time. For example, Casualty viewers have not only followed Iain on his dark journey over a realistic period to get to the point he does (trying to take his own life) but it’s all the more powerful as they’ve got to know him over seven years. That’s the other virtue of Continuing Drama, that we highlight issues the audience themselves may well identify with or be going through, such as mental health, which we are at pains to depict responsibly and sensitively, working closely with wonderful charities like Mind who do so much to help people. Continuing dramas and soaps are also the engine room of UK drama. It’s where a lot of talent cut their teeth. Not just actors, but also script editors, directors, writers and producers train on shows that literally never stop, giving you the best possible grounding in the most testing environment to be creative and resilient. Broadly, an Executive Producer is someone who has overview and ultimate responsibility. Before I was Executive Producer I was Series Producer for Holby City. In that role, you have to take a much more direct role in production. I was in the thick of it running the day to day side of things, meeting with actors, reading every script and running the series to mine and the then Executive Producer’s vision. As Exec, and splitting your week between two cities and two shows, you have something of a healthy distance, keeping the vision, strategy, audience, publicity and the commissioner in mind when you come to scripts and viewings at a later stage than the rest of the team. Ultimately it’s about bringing the best possible stories and characters to the screen to budget. 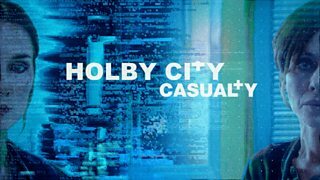 The joy of execing Casualty and Holby, apart from them both having the most lovely, gorgeous, committed, hardworking casts and crews ever, is the fact that though they are set in the same hospital, they are different shows with a different tone, which is a challenge but really fun. Also, the technological world we live in now makes everyone a potential filmmaker! Why not try out making your own short films? Even if you don’t publish them publicly, being able to show people your voice and your passion will put you leagues ahead.